Each year, the Abbotsford Special Needs Advisory Committee collaborates with the Abbotsford School District to put on Bridging the Gap, a transition fair for families of children with diverse abilities as they transition into adulthood. This year Bridging the Gap takes place on March 2nd at Abby Middle School. This fair gives families the opportunity to talk to representatives of agencies, like Communitas Supportive Care Society, who offer services to their youth before, during and after they enter adulthood. It is purposefully held on a Saturday, allowing parents who work to be able to attend. 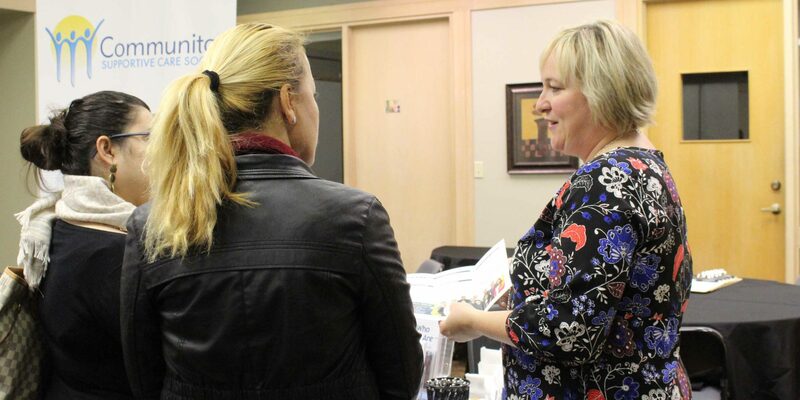 “This is important for parents because it is the only event in Abbotsford that brings local government agencies and service providers together under one roof,” says Tamara Harder, who works in the Contracted Services Department at Communitas and helped found the advisory committee. 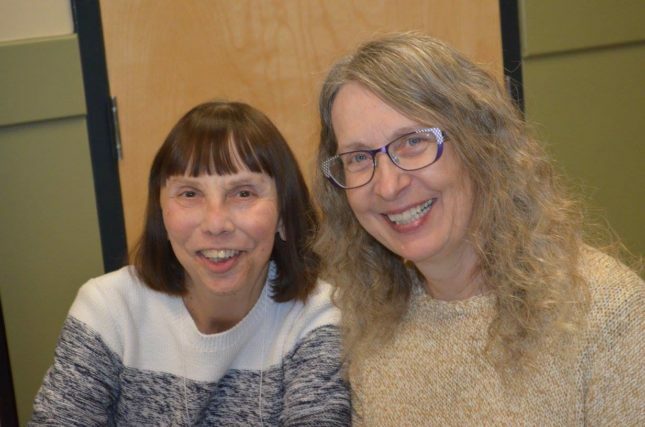 Tamara Harder (right) and Kathleen Praxl at a previous transitions fair. Harder says this is an excellent opportunity for parents to become part of a new community. The event links services that parents are currently using to services that will become available as their child transitions into adulthood. Nearly 40 agencies are represented, giving parents a sense of the wide spectrum of services available. Participants have an opportunity to hear the MayDay Club Choir (an all abilities choir) and hear from a young person who has recently made the transition to adulthood.During the afternoon, select agencies have the opportunity to make a 5-minute presentation but parents are able to talk to representatives from each agency throughout the event. Snacks are provided, there is an art show for people to enjoy and each agency provides something for a door prize so many families walk away at the end of the day with a prize. A resource booklet that includes a description and contact information for each participating agency is also distributed that day. 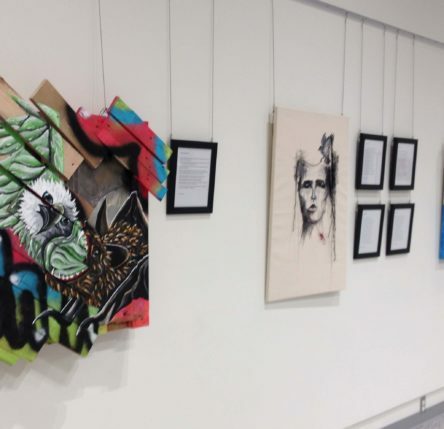 A recent Poetry and Art exhibit in Chilliwack became a unique collaboration raising funds for mental health services. 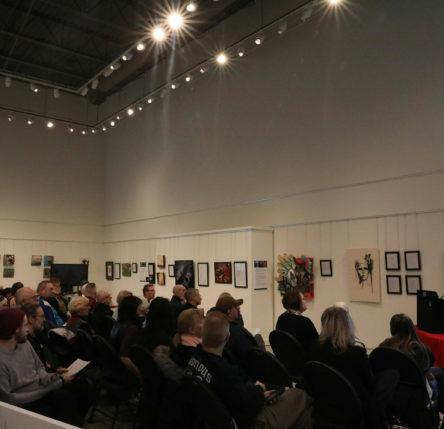 An open and supportive crowd of art enthusiasts attended the Hear and See: Poetry Reading and Artist Talk at the O’Connor Group Gallery in Chilliwack. 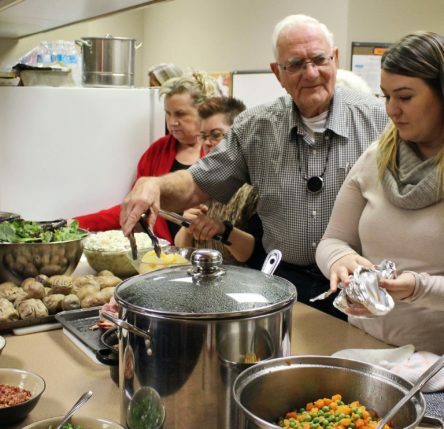 Support our Christmas Day Dinner! You can help us spread a little more joy this Christmas when you make a donation towards our annual Christmas Day Dinner. Like what you are reading? Get more great stories about Matthew’s House delivered straight to your inbox.